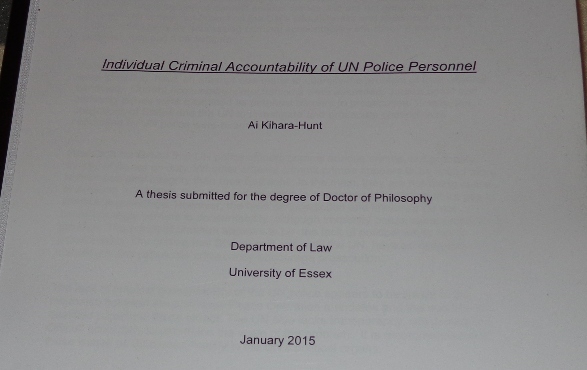 On 21 January 2015, I submitted my PhD thesis. It is on individual accountability of UN Police personnel. States and the UN to prosecute UN Police for their crimes.